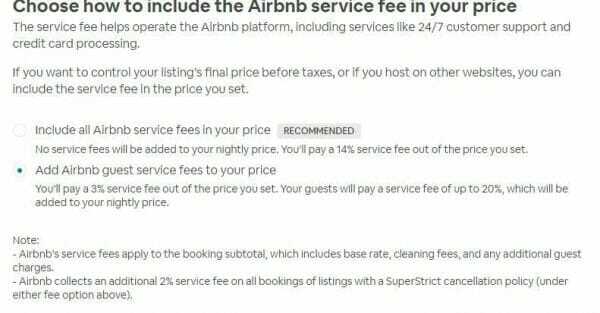 AirBnB Commission Changes: How They Will Affect You in 2019? After plenty of speculation, AirBnB are now rolling out their commission changes. You can now opt to charge guests a service fee of up to 20%, with 3% coming out of your rate – or build the rate into your price. This means that guests will not be charged the “service charge”, however, you will pay a flat rate 14% commission. Take a look at the screengrab below from a message sent to an Airbnb Host recently. 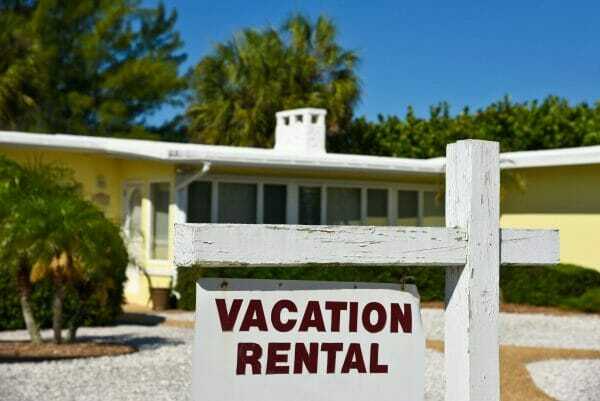 Back in April, Jill Menze reported on PhocusWire that AirBnB were trialling this commission method with select hosts. With many superhosts now getting notified of the change, it looks like this will be rolling out gradually across the site. This new model is likely because AirBnB is seeking to compete directly with OTAs. By charging hosts, they are now switching to the same model as other sites such as Booking and Hotels. Booking charge 15% commission on properties in some areas, making AirBnB a mere 1% cheaper in this regard. With cities across the world – including Edinburgh in Scotland – looking to introduce licensing laws for short-term lets, it is likely AirBnB are now trying to attract more traditional accommodation providers to the website. If you run a hotel, B&B or hostel this change simply means you will use the site the same way you use other OTAs. For short-term lets, however, it is a major change. How will the AirBnB commission changes affect bookings? This depends on your pricing model. Guests will now see the exact price for their trip as a lump sum, rather than itemised. You can still charge cleaning fees though. If, for example, your base rate is £50 per night, you can set your rate to £58 to account for the booking fee. It is now clear to guests the exact amount they will be paying. Though this can decrease bookings, it is likely other hosts in the area will have to adopt a similar model. Nevertheless, there are some concerns that larger businesses that can absorb these costs will be able to out-price smaller hosts. 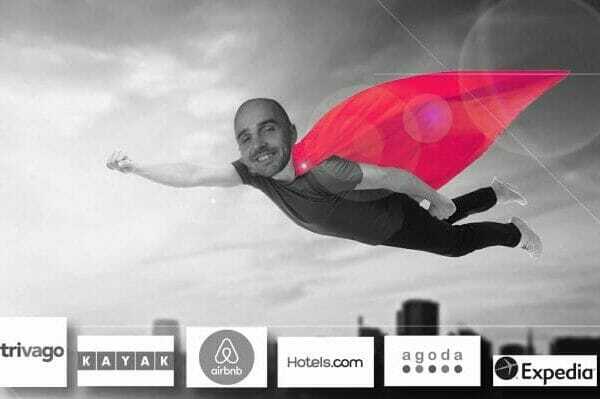 To be a true competitor to the OTAs, AirBnB will need to take on a wider range of properties – creating the possibility of a race to the bottom with pricing. The only way to deal with this is to increase direct bookings. How to increase direct bookings from AirBnB to avoid commission changes? Most of the usual advice still applies. Develop a solid marketing plan, offer direct booking guest perks, make sure your website and content is high quality. The problem with AirBnB is it can be harder for guests to figure out who to book directly with. The website is designed to make it harder for guests to book elsewhere. This can reduce direct bookings, and mean the AirBnB commission changes will hit you harder. The most important thing to do is to make sure your listing has as much information as possible. A good example are these camping pods in Richmond. They have the name of the business (Hillcrest Park), location information and clear photographs. More seasoned guests might be more tempted to look the company website up before booking. If you take a look at the linked website, they have advertised their superhost status on AirBnB and used similar photos. This confirms to website visitors that they have found the right place. You can also include photos of your property signage on AirBnB. This is a great tactic if you have contact information on the sign. AirBnB remove contact information from the listing text, so this is works around this. With these commission changes, you should now treat AirBnB the same way as you treat OTAs – as a customer acquisition tool. Make sure to get contact information from guests when they arrive, and let them know they can get discounted rates by booking directly next time. Also make sure your remarketing efforts include guest perks for people who book directly. You can also start providing an AirBnB Experience from your business, enticing guests to book with you next time you are in town.